In 2018, Gurkha Cigars released the company's first-ever cigar for the Tobacconists Association of America (TAA). The Gurkha Heritage Rosado Toro was made to celebrate the 50th anniversary of the TAA, a small group of the cigar industry's top retailers. The TAA meets annually to discuss trends and potential issues in the cigar industry, and select cigar manufacturers have come to embrace the concept of crafting limited offerings available exclusively to TAA retail outlets. 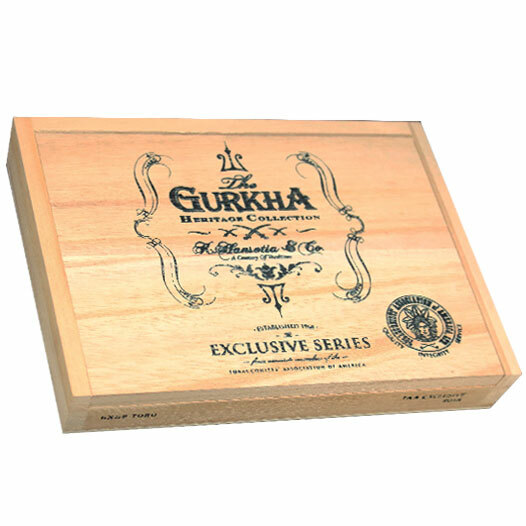 As such, the Gurkha Heritage Rosado Toro TAA 2018 is a limited release 6" x 52 toro that comes in a 10-count box. An Ecuadorian Habano wrapper and binder pair with Peruvian and Nicaraguan fillers to make for a smooth, refined experience. A medium-bodied, medium-strength cigar with flavors of black pepper, almonds, coffee, and an overall earthy profile, Gurkha Heritage Rosado Toro is sure to delight both newcomers and veteran enthusiasts alike.